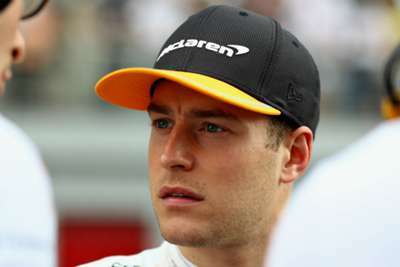 Stoffel Vandoorne has announced he is joining HWA in Formula E after a difficult spell in Formula One with McLaren. McLaren's F1 team will have two new drivers in Carlos Sainz Jr. and Lando Norris next year after Fernando Alonso confirmed he would depart and Vandoorne lost his seat. But Belgian Vandoorne has now finalised his own plans for the future, confirming on Monday that he will switch to Formula E, battling with the likes of former F1 star Felipe Massa in the coming season. "Super excited to join HWA in Formula E and start this new challenge together," Vandoorne posted on his Twitter page. "And it's straight to business! Testing starts [Tuesday] here in Valencia!" Mercedes affiliate HWA are new to the championship for the 2018-19 campaign, with Vandoorne lining up alongside Briton Gary Paffett. The Formula E season starts in Saudi Arabia on December 15, just under three weeks after the F1 calendar concludes in Abu Dhabi.